Good day all. I apologize if this was brought up before but can anyone help me with some knowledge. I have a ABF Turbo full spec in proses and would like to know if it's worth getting cams done with a high rev kit? I know cams with bad overlap interfere with boost but Van Der Linde say they install turbo spec cams? And secondly is a high rev kit in a 16v worth it? Re: ABF Turbo with cams? High rev kit if you want to rev way above 7200. Up to 7400 on std valve springs is still fine. Find out the spec on the turbo cams. It is likely to be in the order of 262/268 duration with a bit if extra lift over the std cams and less valve. Well it depends. How much power do you want to make and what turbo are you using? Killerwatt wrote: Well it depends. How much power do you want to make and what turbo are you using? Hope you are upgrading the gearbox and rest of the drive train for the 300 wkw. PapaJo wrote: Hope you are upgrading the gearbox and rest of the drive train for the 300 wkw. Yes nice cams will always make a bit extra power. It should not make it too dead below if they don't have massive overlap. Agree. At the 300wkw mark you are nowhere near the max of a gt3582. That would probably be around the 1.2 bar mark. I would look at cams, valves and head closer to the 400wkw mark when you get closer to the limits of the turbo. Thanks for the reply guys. Good to know im not way off. 400 kw is even beter and then my next question is will the 20v pistons hold the load or rather wossner pistons. I had a set of wossners in but melted all 4 on the sides. Can get a set of 20v pistons for free just a question. Thanks for the info... Will see when im done where to take it for tuning. As where I am there arent many people who does tuning. Good day. 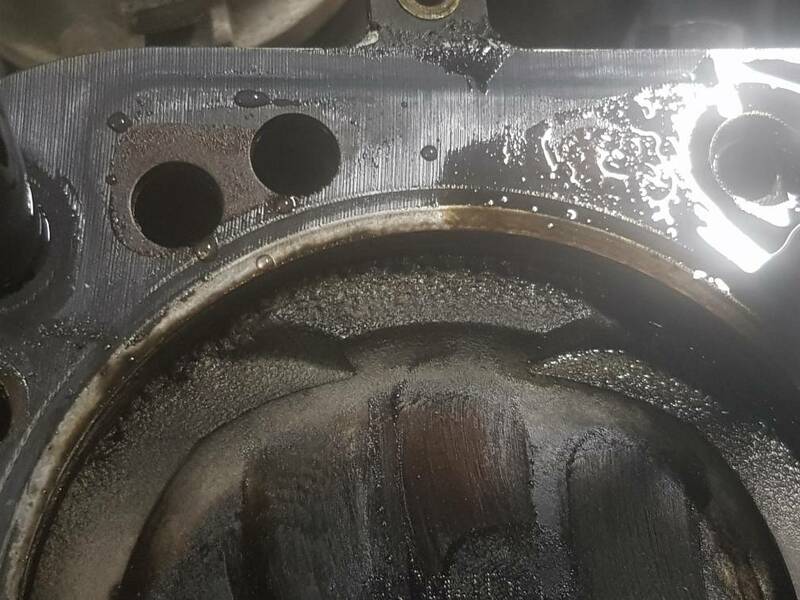 Does anyone know how good Iasa forged pistons are? Sounds like you building a monster, a rides thread would be appreciated to see the progress of the build. Where you located so that guys can point you to where you can take it for tuning. Von 2e wrote: Thanks for the reply guys. Good to know im not way off. 400 kw is even beter and then my next question is will the 20v pistons hold the load or rather wossner pistons. I had a set of wossners in but melted all 4 on the sides. Can get a set of 20v pistons for free just a question. That motor definately ran lean. Make sure you have enough fuel to go with that boost. Get an AFR gauge. 20V pistons might hold 300 if the rest is properly done, like Panic said any piston will melt in an poorly tuned motor. Likely causes are that you are running out of fuel pump or injectors. Lean motors run hot, heat causes detonation, heat and detonation melt pistons.